PBB Teens Treat Us with a Halloween Special This Sunday! 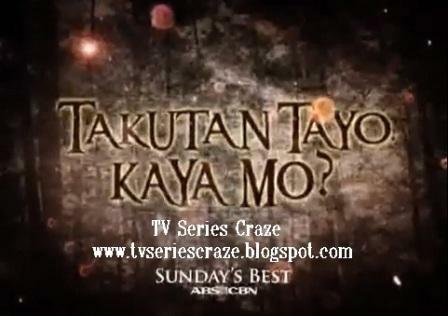 This Sunday, ABS-CBN brings us a special Halloween documentary special featuring the PBB Teens! “Pinoy Big Brother” teen housemates Karen, Ryan, Joj, Jai, and Bing go on a road trip from Manila to Baguio to visit sites that are said to be haunted by ghosts and other creatures of the night in ABS-CBN News and Current Affairs’ special Halloween documentary “Takutan Tayo, Kaya Mo?” this Sunday (Oct 28). The country’s favorite teens go ghost-hunting in an old house in Sampaloc, Manila that is believed to be haunted by the couple who first owned the property in 1937. They will also prove if stories about headless priests, nuns, and marching Japanese soldiers can really be seen when darkness strikes in Pindangan Ruins in La Union. On their way to Baguio, the teens will try their luck if they will see the white lady allegedly lurking along Loakan road. Rumor has it that a taxi driver went out of his mind when he had an encounter with the white lady. Karen, Ryan, Joj, Jai, and Bing will also enter the creepy Diplomat Hotel and Teacher’s Camp, two of the most popular haunted locations in the country. Will the paranormal world make their presence felt to them? Will the teens be brave enough to go through the challenge? Other than going ghost-hunting, the teens will also share real-life, goosebumping stories of those who have experienced the paranormal backed up with testimonies, dramatization, and historical context. Some of the stories were taken online via posts from netizens in the show’s official Facebook page.